Snowfall: Why Police Got A Bad Social Media? SRINAGAR: For 24 hours, the police was literally on the tenterhooks especially on the twin highways connecting Kashmir with the rest of the plains. Since a lot of people were stranded on the roads, the police were the main player in ensuring that they are safe and under some shelter until they are moved out of the harm. A JK Traffic Policeman carrying one of the minor passengers on his back to safety from Pir Ki Gali. 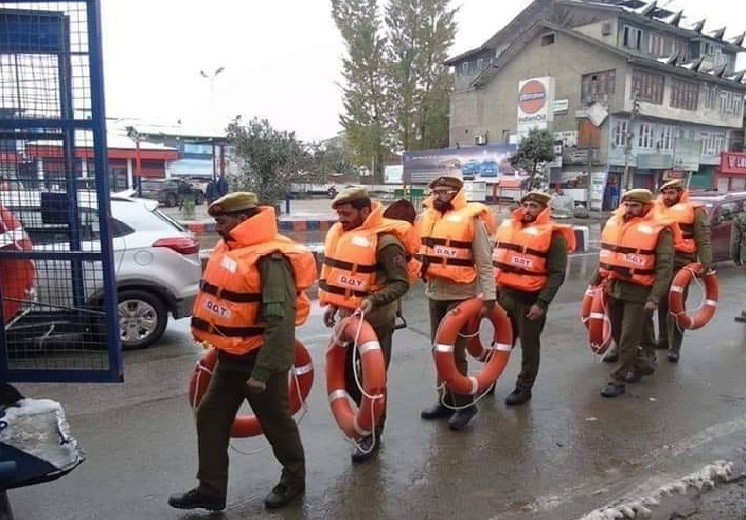 The social media did mention the actions of some of the policemen who contributed immensely in getting the stranded people out of a life-threatening situation especially in Pir Ki Gali, a mid-road pass on the Mughal Road, and near the tricky ascend towards the Jawahar Tunnel. There, a traffic policeman was seen taking a kid out along with his family. 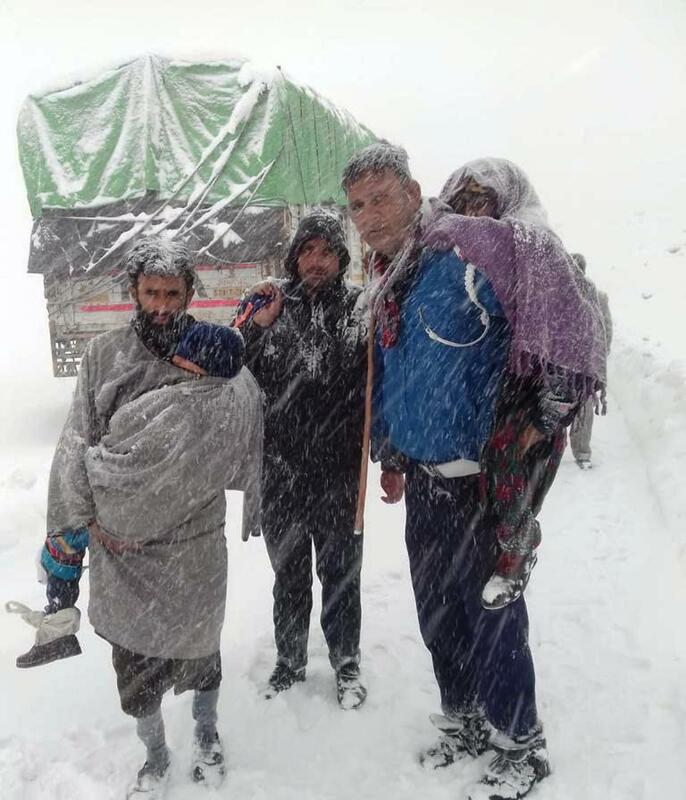 Moreover, 600 were rescued from Banihal area who were accommodated at Nowgam and Gund area of Banihal where they were provided food, shelter, and accommodation for a night stay with the active support of the civil administration. Some pictures clicked by civilians from Pir Ki Gali also showed some traffic cops literally taking the stranded passengers on their backs. 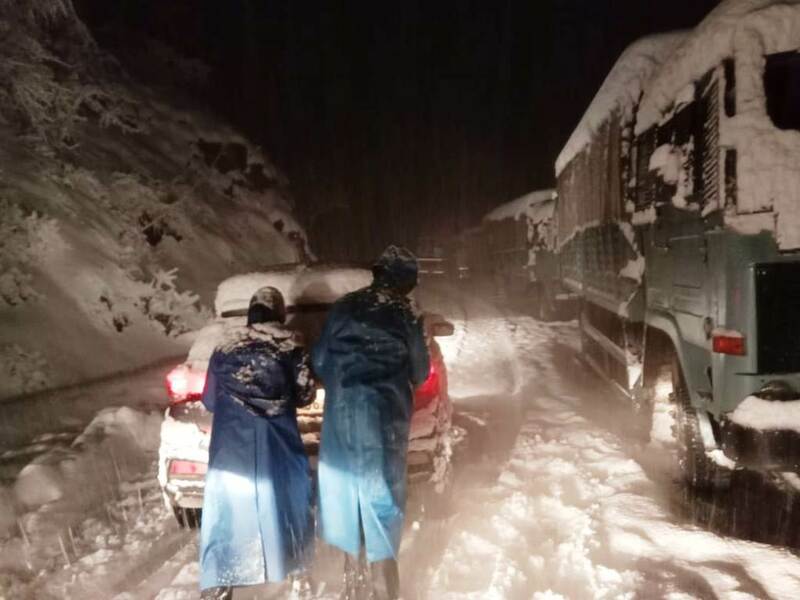 Between Banihal Pass and Gulmarg, there are countless instances in which the policemen rescued stranded people and ensured they are safe. Besides, they were part of the overall power and road connectivity restoration process as well. Despite all this, the police got a bad social media. Reason: They paraded a group of SDRF (State Disaster and Relief Force) personnel in uptown Srinagar. They were carrying life-saving jackets and air-tubes. These two items are key to the rescue operations in floods and inundation. 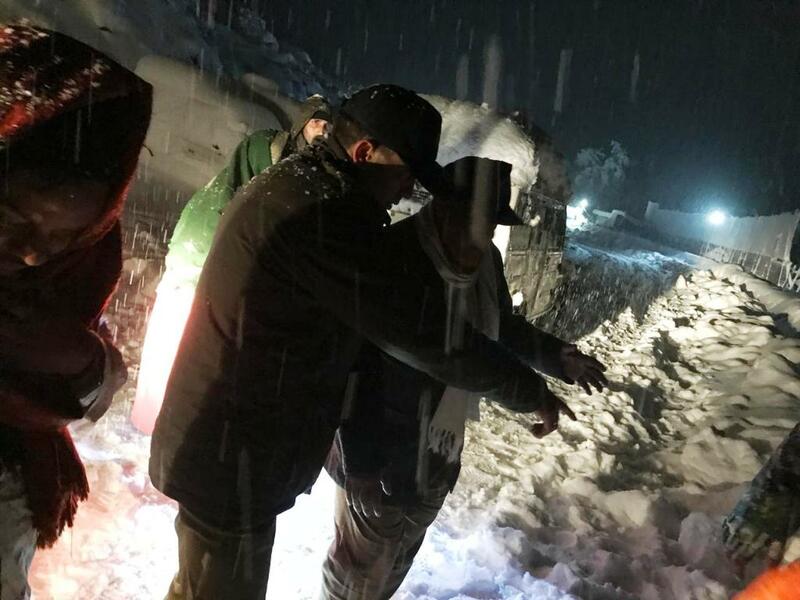 As the police formally released a set of pictures showing a line of SDRF personnel clearing the few inch snow with shovels, and at another spot, using two automatic saws in cutting a small branch, it proved a tipping point. The people starting clicking the pictures on their own and putting it on the social media. This triggered a volley of bad commentary. The use of the particular items was seen as a showmanship and cops flaunting the “new” thing. Even insiders in the police said the “use” of the life-saving jackets was visibly an “abuse” of the item and proved a provocation. They say that the police had impressive stories of their actions in last two days but they were either not covered at all or were given a routine treatment that pushed people to hit the police in the virtual world.